EDGEFIELD, S.C. — On a recent visit to the National Wild Turkey Federation headquarters while chaperoning his local 4H group, Riley Nordin of Saluda, South Carolina, was surprised to learn he won the 2016 NWTF National Scholarship, sponsored by Mossy Oak. 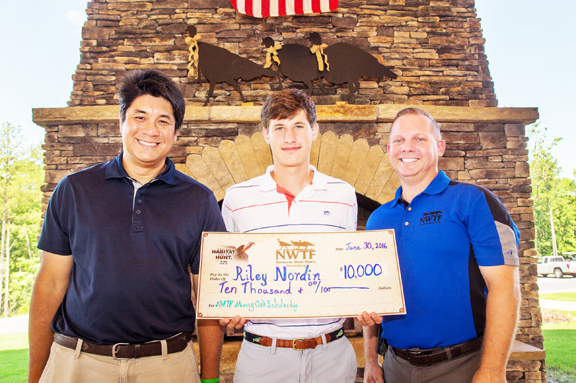 In front of the Saluda 4H group, NWTF headquarters staff and local media, Nordin received a check for $10,000, something he says will help fund his education when he enrolls at Clemson University this fall. “I am truly thankful. $10,000 is a lot of money, and it will be helpful, especially with the long-term education goals I have,” Nordin said. Visit www.nwtf.org for more information, or download the scholarship application.About The NWTF Save the Habitat. Save the Hunt. InitiativeThe NWTF Save the Habitat. Save the Hunt. initiative is a charge that mobilizes science, fundraising and devoted volunteers to give the NWTF more energy and purpose than ever. Through this national initiative, NWTF has committed to raising $1.2 billion to conserve or enhance more than 4 million acres of essential upland wildlife habitat, recruit at least 1.5 million hunters and open access to 500,000 acres for hunting, shooting and outdoor enjoyment. Without hunters, there will be no wildlife or habitat. The NWTF is determined to Save the Habitat. Save the Hunt.To learn more about the NWTF Save the Habitat. Save the Hunt. initiative, visit www.nwtf.org. 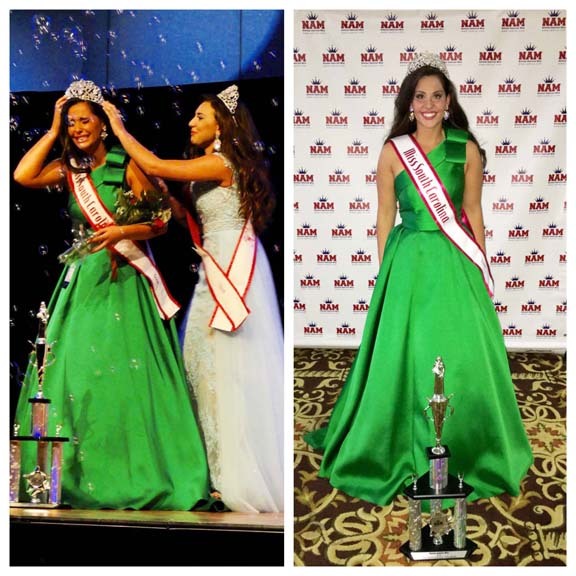 Saluda County resident Laney Edwards was crowned National American Miss South Carolina Teen on June 26. Laney and her SC sister queens will travel to California this November to represent our state at the week-long National American Miss Pageant to be held in Anaheim. Delegates at the national pageant will vie for a $5000 cash scholarship and be judged in the following areas: Resume, Community Service, Interview, Onstage Personal Introduction, and of course, Formal Wear. It won’t be all work and no play, however. Laney and the other contestants will have photo shoots, spend a day at Disney Land, and tour the famous streets of Hollywood. They will enjoy a Thanksgiving banquet and walk the red carpet during the “NAMmy” Awards Show, where they will be recognized for participation in optional competitions. Laney is looking forward to representing Saluda County and the great state of South Carolina on the national stage. For more information about the National American Miss program, go to www.namiss.com. Saluda County Council gave third and final reading to the 2016-17 county budget, and heard concerns from employees about the county’s decision to take over the EMS from the Saluda Nursing Center. The budget stands at $11,537,759, with debt service $128,411.35, for a total of $11,666,170.35. Council Vice-chairman Gwen Shealy, who presided in the absence of Chairman Don Hancock, said the budget will require a .25 percent millage increase. Council also approved the transfer of $350,000 from contingency to balance the 2015-16 budget, and $534,883 to balance the 2016-17 budget. In the public hearing, citizens expressed concern about what the new Emergency Medical Services Department was getting in compared to what the other departments were getting. County Auditor Memmus Forrest said he was speaking as a citizen, not as an elected official. Forrest questioned council on what other departments, included the sheriff and detention center asked for in the budget process. He then asked how much money the EMS had brought in since the county took over in October 2015. Schumpert said it is projected EMS will bring in $1.1 million during the year, and with the $650,000 the county normally funds EMS will almost make the department break even. Forrest also asked about the buildings, furnishings and vehicles the county had put into EMS. Schumpert said some of those expenditures were one time things. Forrest said he had no complaints with EMS, but he felt all departments should be treated equally. 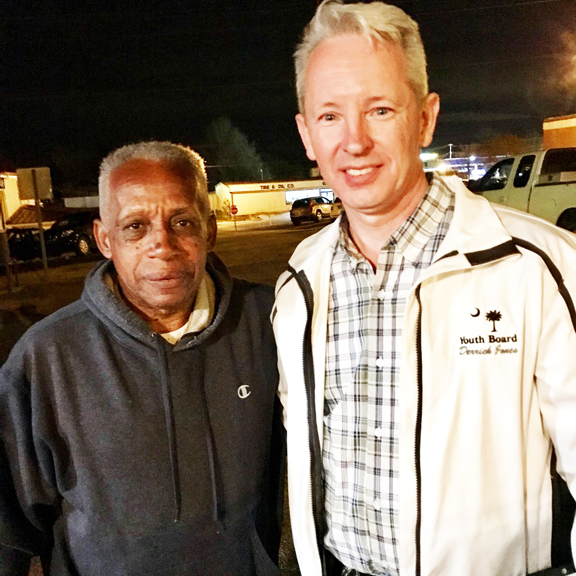 Toby Horne from the Sheriff’s Office said his department has asked for five new officers. Horne, too, said he had nothing personal against the EMS, but he said the sheriff’s officers were tired and overworked. Melinda Kneece wanted to know a comparison in salaries with other counties, and asked how much was in the reserve fund. EMS Director Jacob Starnes said he welcomed anyone to visit him, and he would discuss salaries. He said he was making less this year as director than he made last year. County employees will not get an official raise, but will get an extra pay because there are 27 pay periods in the fiscal year, compared to the normal 26. County Director Sandra Padget said this happens every eight or nine years. Employees on longevity will also get a percentage increase. Mrs. Shealy praised an article in last week’s Twin-City News that sxplains how state cutbacks to aid to local governments has hurt counties. 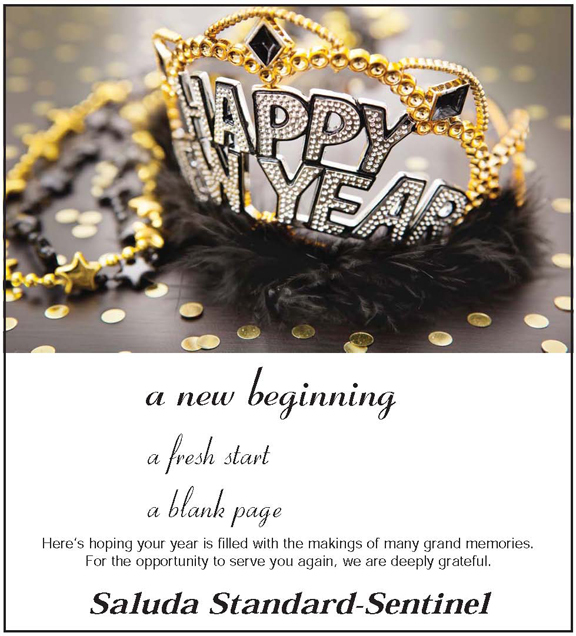 The article is reprinted in the print edition. School might be out, but it’s just starting for some members of Congress. Sarah Longshore, principal of Saluda High School in Saluda, SC, ventured to Washington, DC in late June to meet with federal elected officials about the most pressing issues facing schools in South Carolina, including the transition to the new federal education law, resources for student literacy, and greater support for the ongoing development of principals. The meetings were part of the annual Advocacy Conference for principals, conducted by the National Association of Secondary School Principals (NASSP), in cooperation with the SC Association of School Administrators (SCASA). 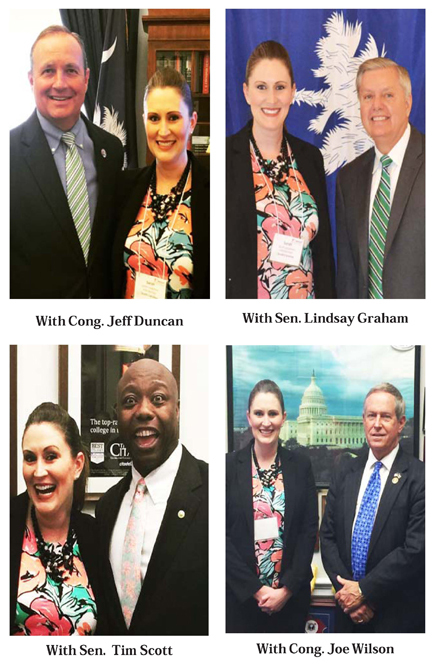 Longshore visited congressional offices on Capitol Hill to meet with Representative Jeff Duncan, Representative Joe Wilson, Senator Tim Scott, and Senator Lindsey Graham. The agenda was driven by the need for South Carolina to focus efforts on implementing the new Every Student Succeeds Act (ESSA), which President Obama signed in December and which takes full effect in August 2017. The law require states to use other factors in addition to standardized test scores to determine school success. The law also requires a renewed emphasis on reading and writing across the curriculum and includes language that encourages states to dedicate up to 3 percent of professional development dollars specifically for principals. Longshore plans to maintain communication with her elected officials and meet with them during the year in their local offices.